Est. 1979, Over 30 years of Educational Experience. 04/29-CCC Dare to Dream Conf. The Creative Achievement Academy School is a non-profit private institution for students with academic and behavioral challenges. Our therapeutic approach is based on the conviction that all students can learn. Creative Achievement Academy provides a nurturing environment in which students establish a new foundation, an equal chance and a sense of belonging and acceptance. Each student's program is tailored to his/her individual needs using a broad range of teaching strategies and hands on activities. Workplace Readiness programs, career awareness and pro-social skills are an integral part of our program. The SLE (Structured Learning Environment-supervised work experience) provides our students with skills that are not available at other educational facilities. Our counseling program also provides networking with outside agencies such as DVR (Division of Vocational Rehabilitation) so our students can connect for the transition after graduation. Many of our alumni continue with their jobs after graduation and others move on to post secondary education. Our newly renovated state of the art facility is located at 1667 East Landis Avenue in Vineland. The building is large enough to house our elementary and middle school students in their own wing and the high school students in a separate wing. Each wing has it's own computer lab. The building also features an indoor swimming pool, weight room, gymnasium, full kitchen and cafeteria. Any parent or Child Study Team interested in more information about CAA are encouraged to call to set up a tour. Culinary Arts: Coming soon to CAA is our Culinary Management Program. Students will learn to plan, supervise and manage food and beverage preparation, service operations, retaurant facilities and catering services. Instruction includes topics in food food/beverage industry operations, cost control, purchasing and storage, business administration, logistics, personnel management, culinary arts, restaurant and menu planning, executive chef functions, event planning and management, health and safety, insurance and applicable law and regulations. Culinary students will be given the opportunity to enhance their resumes for prospective employers in the field. Please see our Culinart Arts Experience which is currently being offered. iPads & Paperless Classrooms: CAA students now use interactive textbooks through our iPads. Lessons will be enhanced through video links, engaging graphs and models as well as built-in reading support. Science labs and experiments will be technologically advanced by allowing students to participate in iPad lessons such as touch screen dissection. Math Instruction will be differentiated through the innovative new iPad app, Khan Academy. Khan Academy allows students to work at individual ability levels. They can watch video lessons and complete assessments. Teachers can simultaneosly monitor their classroom and provide real-time support for any student in need. Driver's Ed Class: Our NJ DMV approved Driver's Education Class will prepare students to obtain their learner's permit. A Certified Driver's Ed. Instructor will work with students individually or in small groups until they are ready to take the written exam. 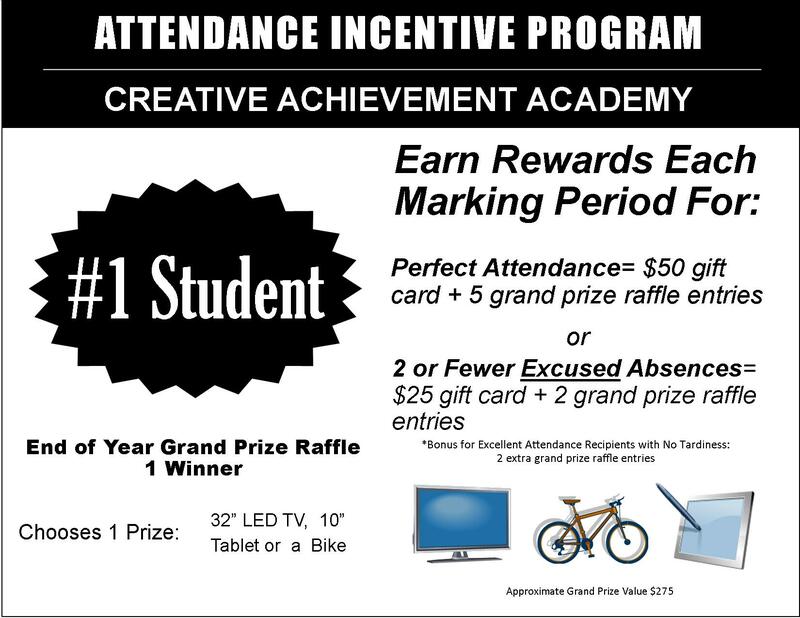 Thank you for visiting Creative Achievement Academy!